Usually situated in out-of-the-way areas, and therefore abstract for most people, military bases and nuclear power stations divide national opinion while benefiting their local community in terms of employment. When military and nuclear merge in Trident, that divide grows even wider as this fiercely intelligent monologue demonstrates. 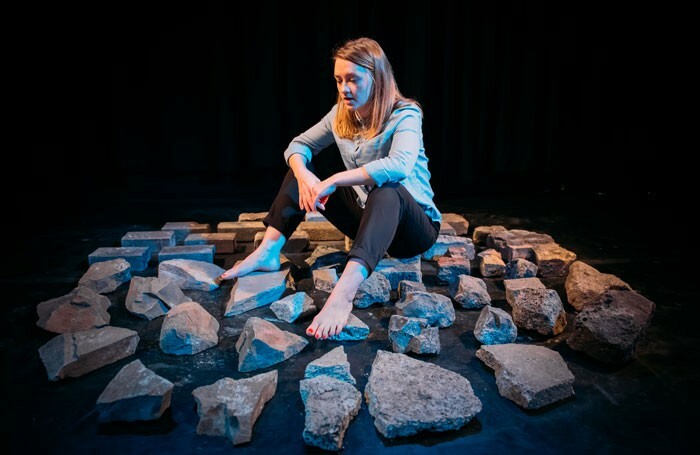 Written and performed by Jenna Watt, this is her journey to Faslane on the Scottish coast, the naval base for Trident-bearing submarines and the core of the UK’s nuclear defence system. She’s too young to have experienced CND or the peace movement that followed, and wants to discover for herself why Trident is so controversial. With an investigative nose, she visits Faslane’s distinct communities – the base, the town (her uncle works for the base) and the protestors’ camp in the middle to see for herself – and is surprised to receive ambivalent answers. The state of our national security is not as black and white as it seems. Faslane’s ending may not be everyone’s cup of tea, but getting there is undoubtedly rewarding. Watt is a compelling narrator creating a witty, vivid dialogue with the audience as she recounts her trek through other people’s opinions, turning occasionally to a mic on one side to deliver fact-laden backgrounders stand-up style. By opting for a personal rather than political approach, Watt avoids the downward spiral of weighty agendas. The result is almost like a fairytale, in which everything seems symbolic of deeper truths and potentially quite scary too.